We've discussed here whether you can drink and ride, and we've discussed waiting to have a glass of wine until after all your riding and barn chores, but to what extent should you give alcohol to your horse? There is certainly a line between right and wrong, as with most controversial topics. 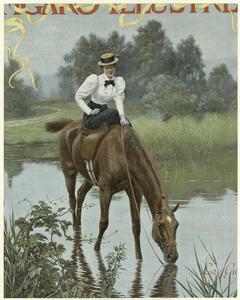 What is YOUR horse drinking? Some (and I dare say most) vets would confirm that a limited amount of alcohol given to a horse wouldn't be detrimental at all. Here is an article that asserts 1) horses have enzymes in their gut that actually ferments their raw oats and grains as part of healthy digestion and 2) intoxication correlates with body size to amount of alcohol, so one beer would have little effect on a 1000 pound horse, unlike a 10 pound dog. Speaking of dogs, Here, one blogger writes of his desire to "get my dog drunk," though he feels bad that the dog won't know what is happening to her as she becomes intoxicated and disoriented. Just because it is legal to give your animal alcohol, doesn't necessarily make it right. "Whoever, having the charge or custody of any animal, either as owner or otherwise, subjects any animal to needless suffering, or inflicts unnecessary cruelty upon the animal, or in any manner abuses any animal, or fails to provide the animal with proper food, drink, or shelter or protection from the weather, or who drives, rides, or otherwise uses the animal when unfit for labor, is for every such offense, guilty of a crime punishable as a misdemeanor or as a felony or alternatively punishable as a misdemeanor or a felony and by a fine of not more than twenty thousand dollars ($20,000)." (Emphases added by me). I do not intend to pass judgment or assert welfare violations by the blogger noted above, I merely use his post as an example of the sometimes blurry line between right and wrong. By reading other parts of his blog, he seems to love his dog (who knows if he ever even followed through with his intent, or if it was merely a joke, and presumably a dog would not continue to drink beer if she didn't like it, especially if water was readily available). 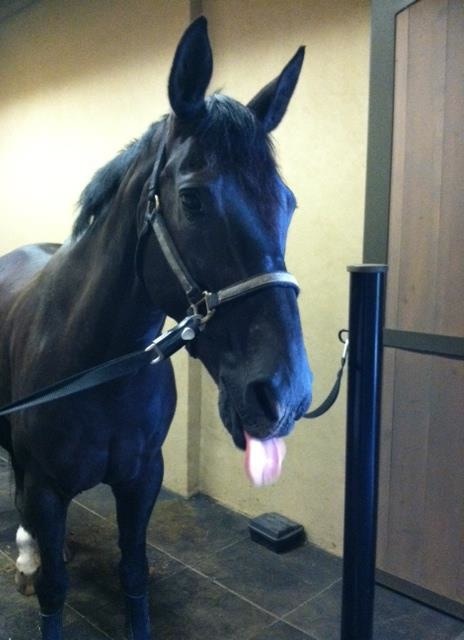 I have let my horses sip at a beer after a horse show, and Zenyatta the racehorse is known to have a particular affection for stout beers (and has a cocktail named after her!). 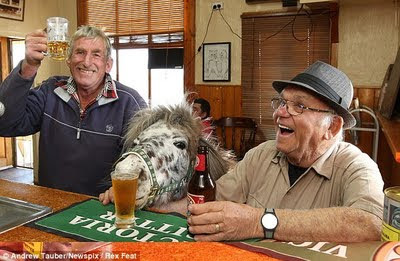 Some people make a regular habit of adding beer to a winter's mash, and you wouldn't believe the number of online videos of horses drinking beer! The article written by the vet offers one warning: sensitive horses could be allergic to the sulfates in some alcohol, like red wine. At the same time, she wrote that stout beers like Guinness can in fact be nutritious due to the mineral content. While animal welfare should always come first, I think that most horses can safely (and legally) have a couple glasses of wine or bottles of beer. As always, I recommend withholding any alcohol consumption (by you OR your horse!) until the end of all barn work and chores. Happy Monday! I hope you all enjoyed your LAST August weekend! 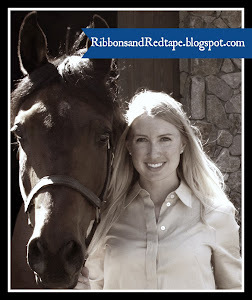 I've recently started following a fun equine blog called "Three Days Three Ways." 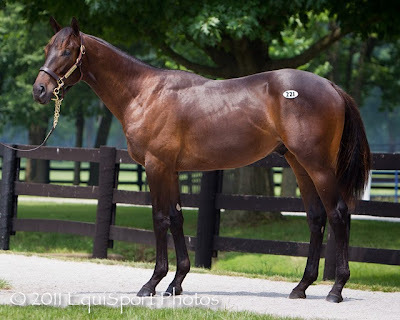 There is one particular post on equine syndication that I thought would be interesting to discuss from a legal perspective. 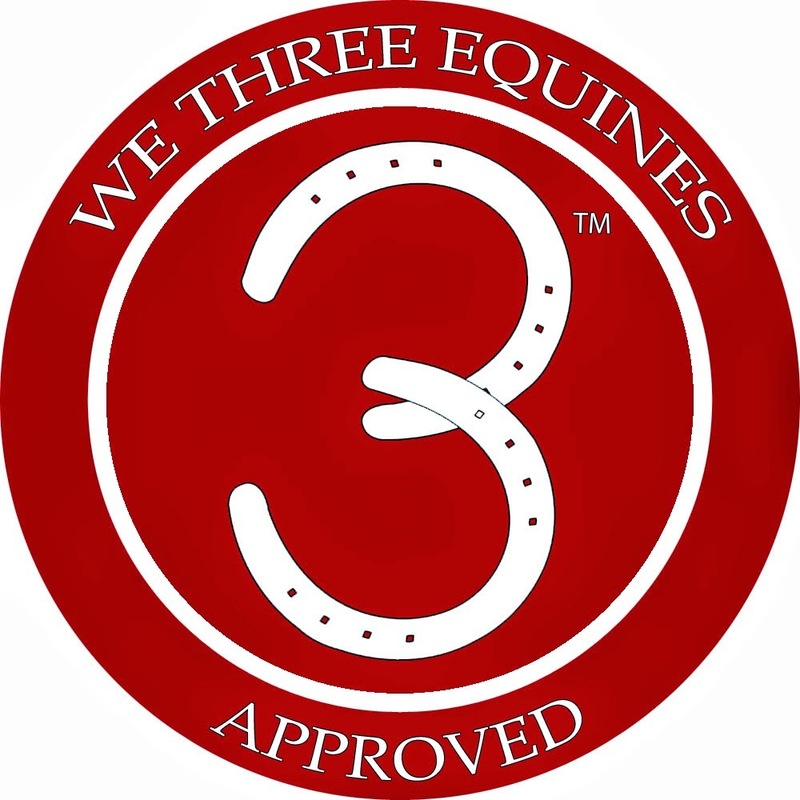 The "Three Days Three Ways" post (find it here) interviewed a woman who owns some of the horses ridden by Phillip Dutton in eventing competitions all over the world. 2. Good race horses have the potential to win a lot of money, and to be economically valuable studs after racing. "Oh, well I own a racehorse." Stable? Age? Tracks where he races? Medical issues with young racing horses? Sire and Dam? and as I soon learned, these people "owned" a racehorse, meaning, a 10% interest in the horse that they bought as an investment, for tax purposes, as a whim, as a favor, etc., and actually knew nothing about horses at all. As amusing as I find such scenarios, I actually think syndicates are a great invention for supporting equestrian sport, otherwise it would be cost prohibitive for many of the riders and owners to purchase, maintain, and compete top level horses. There are a number of business, legal, and tax implications in forming a syndicate- so even if you are not planning on sharing ownership of a $16 million horse, but just a $10,000 pleasure horse, and even if it is with someone you trust- be sure to visit an equine attorney to go through the agreement and to form a contract between the owners. When people are economically and emotionally invested in animals, you need in writing what the owners will do if they disagree on a plan of action for the horse, such as whether to pay for colic surgery or not, or whether to sell the horse, and if so, for how much, among other issues. Would you ever buy into a syndicate? If so, for what type of horse? In March I wrote a post (you can find it here) on Forensic evidence and stolen horses. Today I saw a news bulletin that dog thievery is on the rise; the article (found here) cites a 49% increase in stolen dogs. The hypothesis is that a bad economy is driving thieves to steal valuable dogs, either for their own family use, to collect a Reward offered by the owner, or to sell over the Internet to an unsuspecting buyer. Dogs aren't the only stolen pet- horse thievery is rampant as well. The consequences for an owner of a stolen pet is often not only economic (in losing an investment animal, such as a young horse) but also emotionally damaging. Our family dog Allira was taken earlier this year; she is trusting and loving, and was unfortunately all too eager to jump into a stranger's car. Fortunately a friend of ours noticed this person's "new dog," told us, and we were able to recover her. Poor thing had been put into a concrete kennel (she has never been kenneled before); needless to say, she was overjoyed to come home! The consequences for a horse thief vary from state to state, and the punishment depends on the value of the property stolen (remember everyone, horses are property under the law), and the amount of property stolen. If the value of the horse is greater than $20,000 then it becomes a Class 3 Felony, and a Class 2 Felony if the horse is valued at more than $100,000. 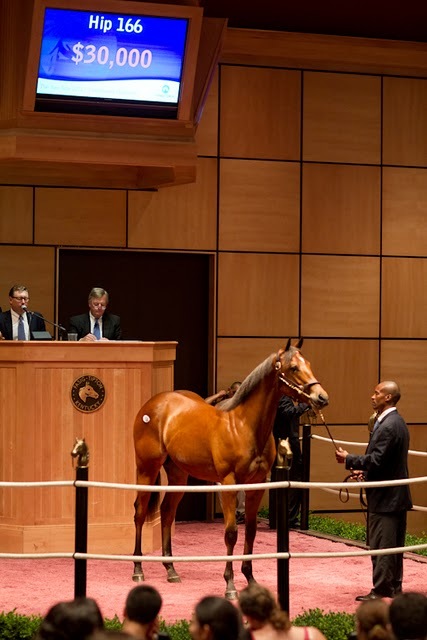 I'm not sure how many of you have horses exceeding that value, but for those Olympic riders or racehorse owners out there, if your horse exceeds $200,000 in value, then the thief will be punished with a first degree felony and its accompanying sentence, among other penalties. The value of the stolen property must be at or above $950 (or for farm crops, including hay, valued at or above $250). Sometimes Grand Theft is considered a misdemeanor, and other times a felony (fyi, stealing a gun will ALWAYS be a felony). Imagine stopping by the barn one morning, looking forward to feeding and watering your horse, and rather than being greeted by a happy nicker, you are faced with an empty stall or paddock. How do you find your horse? 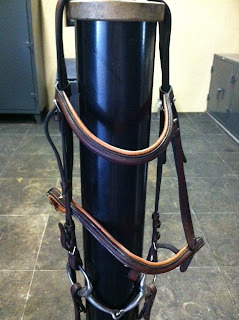 More importantly, how can you prevent thievery from ever occurring in your stable? In a related category, I know over the years some of my tack, and that of others, has mysteriously grown legs and disappeared. This happens frequently at shows, when security is low, and there are a lot of people circulating through the show grounds. 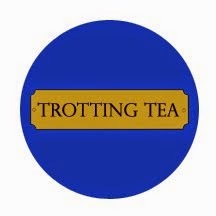 I always take my tack home at night when stabling away from home. My prior barn faced a slew of saddle thefts a couple years ago; they were determined to largely be a crime of opportunity: if you leave your saddle out, someone will notice, and there are some people in the world who will be willing to steal your saddle for his or her own profit. Here is a list of ideas on how to prevent horse theft. And a more cut and dry list here. As suggested in the original dog-theft article, keep a current picture of your horse, along with a note all markings and tattoos, so that you can identify your horse to authorities in the event of a theft. Do you have any other tips to add? Do you know of a horse that was stolen? Do any of you plan on trail riding this weekend? To follow-up with yesterday's post, if you trail ride on public land, California has a rule that applies to you! (3) Animal riding, including equestrian competition"
The law makes it clear that if you are engaging in hazardous recreational activities on public land, like a national or state park, then the public entity or employee is not liable to you (or spectators of the activity) for damages to you or your property (that includes your horse) arising from the activity. So if you are injured on public land while trail riding, in order to recover you must meet one of the exceptions. If you are a public employee defending against a lawsuit, you would argue that the injury to the horse or rider does not fit an exception. My hope is that the conflict never arises, and we all have safe rides! Hope this music video sends you happily off into a summer weekend of riding! 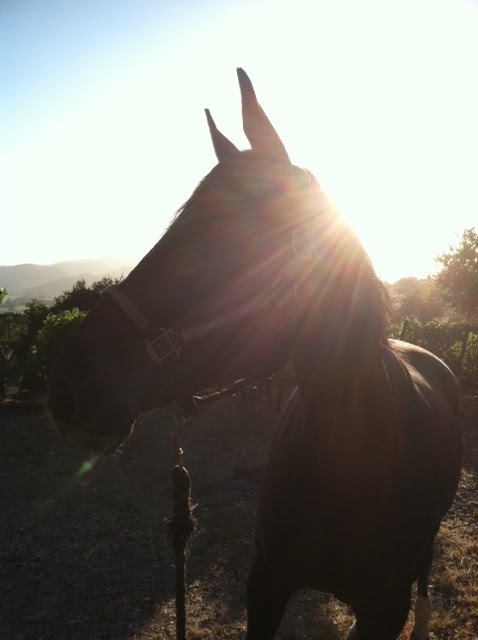 I'm sorry for not posting for a week; when the twilight stretches to almost 9 pm, I end up spending an extra hour grazing Bella in the last bit of sunshine, rather than getting back to my computer! As much as I enjoy blogging for all of you, I have to say, I think soaking up the last bit of summer is worth it! One of my favorite summer activities is trail riding. Morning, afternoon, or evening, I find nothing so peaceful as meandering along tree-covered paths, up hills, along streams, and adding a rocking canter or two along the way. I ride on both public and private lands, and on occasion I hear of riders who fall on the trail and are injured. If you are a landowner and a rider falls while on any part of your property, could you be held liable for injuries to the rider (or the rider's horse)? According to California Civil Code §846: “An owner of any estate or any other interest in real property, whether possessory or nonpossessory, owes no duty of care to keep the premises safe for entry or use by others for any recreational purpose or to give any warning of hazardous conditions, uses of, structures, or activities on such premises to persons entering for such purpose, except as provided in this section." Trail riding is considered a recreational activity, so it looks like the answer is that a private landowner is not required to protect riders from hazardous conditions (i.e., a rotten tree branch that falls and hits a rider, rabid wild animals that attack the horses, or gopher holes that trap a weak fetlock). 3. If riders are expressly invited, rather than merely permitted to be on the private property, then the landowner has a duty to warn, guard against, and perhaps fix known dangers. Example: this can be a murky distinction, but if a landowner has expressly invited the local pony club to do a mock fox hunt in his fields, then he has a duty to warn or guard against dangers. If he does not, he could be liable. In California, landowners tend to not allow riders onto their property, out of the fear of being sued. Even defending yourself can cost a lot of money! 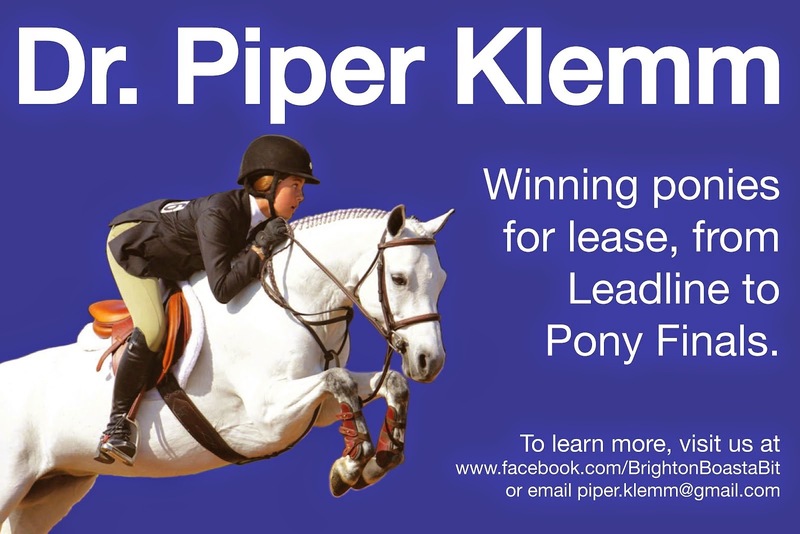 While I understand the landowners who choose to prohibit any access, I know that many landowners also want to give back to the equine community, and allow foxhunting, eventing, schooling shows, or pony club events. A special thank you to the private landowners that have graciously given back to the equine community to permit riders to visit; my hope is that riders and owners alike mutually benefit and enjoy the relationship! A discussion of the liability, or right of recovery, for injuries from trail riding on public lands is up next! Happy Sunday! I've had a great weekend filled with plenty of horse activities, I hope you did too! She stuck her tongue out after I asked her what she thought of dirty, dangerous tack. I'm just kidding, she was actually patiently munching on treats while I cleaned the dirty tack! My father had apparently unearthed a molded mess of leather, which was bound for the trash heap, when he decided to wash it up a little. 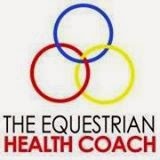 While I conditioned it, I thought of the Equine Activity Liability Acts that I've discussed briefly before on this blog. The EALAs (for short) are statutes enacted by individual states to help protect horse people from liability when a visitor to a horse facility or a rider is harmed. You can find the list of states that have EALAs here. "The inherent risks of farm animal activities are deemed to be beyond the reasonable control of farm animal activity sponsors, farm animal professionals, or other persons. Therefore, farm animal activity sponsors, farm animal professionals, or other persons are deemed to have the duty to reasonably warn participants in farm animal activities of the inherent risks of the farm animal activities but not the duty to reduce or eliminate the inherent risks of farm animal activities. 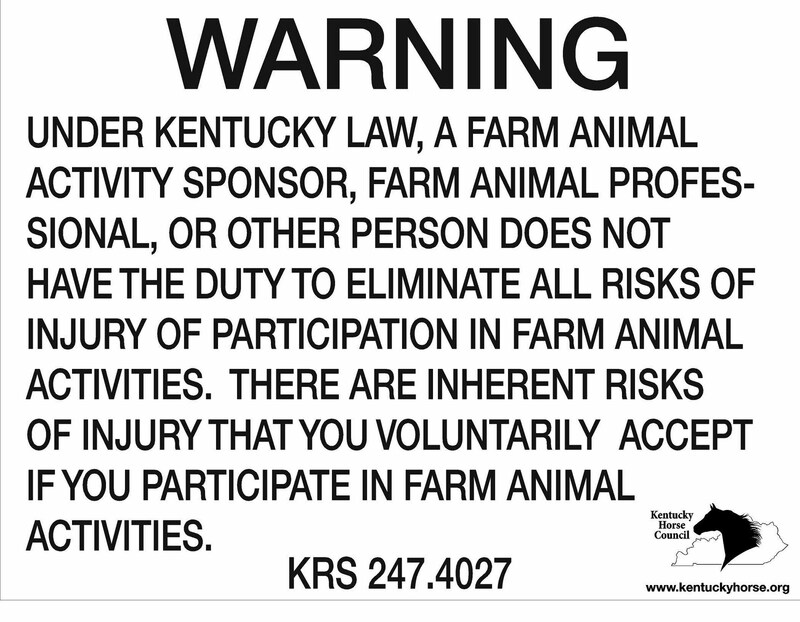 Except as provided in subsections (2) and (3) of this section, no participant or representative of a participant who has been reasonably warned of the inherent risks of farm animal activities shall make any claim against, maintain an action against, or recover from a farm animal activity sponsor, a farm animal professional, or any other person for injury, loss, damage, or death of the participant resulting from any of the inherent risks of farm animal activities." It is a little wordy, but essentially codifies that horse activities are dangerous, and while a horse-person needs to warn about horse dangers, the actual risk need not be eliminated. In action, this means that if you have a horse that nips fingers, put a clear sign outside his stall warning of that danger, but (in general) you don't have to get rid of the horse. 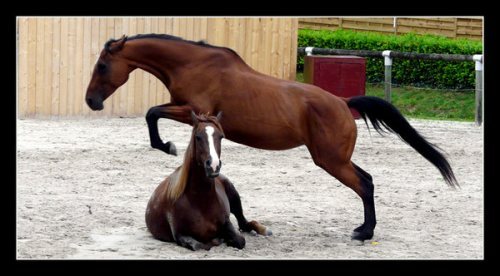 Or, make sure you have a sign posted outside your arena of the dangers of riding, but if a horse spooks and throws a guest, that is a risk you cannot control (again, this is in general, provided the horse was suitable for the rider's skill). "Provided the equipment or tack, and knew or should have known that the equipment or tack was faulty, and the equipment or tack was faulty to the extent that it contributed to the injury." So if I had provided a rider with a bridle that I noticed (or should have noticed) had rotten stitching, and then the bridle broke during the ride, and the broken bridle caused the rider to be harmed, then I would not be shielded from liability under an EALA. Remember: prevention of liability is always better than dealing with an injured horse or rider, so make sure you are in compliance with your state's EALA, such as having signs posted with the required words, in the correct color and size. Even if you are in a state without an EALA, I would suggest compliance with the EALA requirements because it could help establish a case that an injured rider knowingly assumed the risk of the inherent dangers of riding. 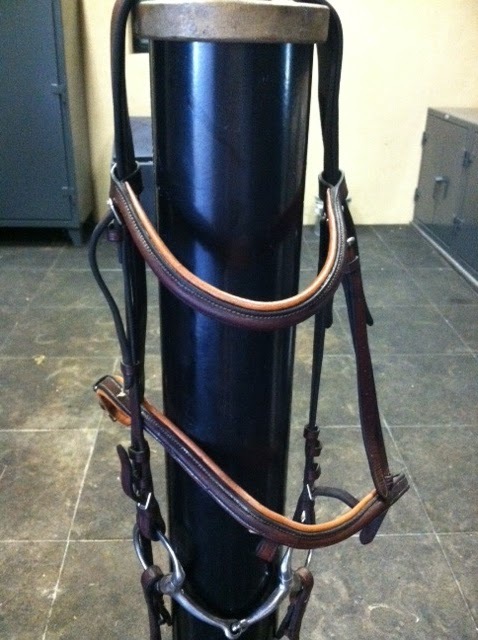 So go inspect your tack this week and make sure it is in tip top shape, I'm happy to report that after some deep conditioning, the bridle pictured here was safe and ready to be used! 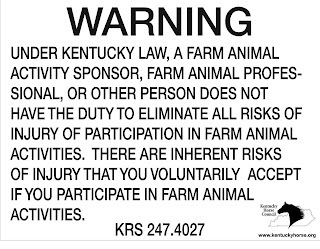 *Edit/ Update: I thought I would share with you a typical sign required under an EALA, click here to purchase it from the Kentucky Horse Council.